There aren’t many places in the world where you can visit four countries in one trip without traveling farther than a few dozen miles. One of those places is Lake Constance (aka Bodensee in German). Lake Constance is fed by the Rhine River and borders Germany, Austria, Switzerland – and just 40-minutes away – the small Principality of Liechtenstein (one of the smallest countries in Europe). Lake Constance is just 40-miles long and not so wide that you can’t see across to the other side. The Lake Constance region is the perfect destination to maximize your vacation. Not only can you effortlessly tick four countries off you bucket list, you’ll be able to experience four cultures, four languages, four different cuisines and even go wine tasting in four different countries – all in one easy trip. Will you believe there are no borders between these countries, either? You can drive between the countries without ever stopping at a border crossing. And if you’re especially adventurous, you could do as I recently did and have breakfast, lunch and dinner in a different country all in one day. We’ve put together a really exciting Lake Constance itinerary that you can follow, in order to see and do many of the top cities and activities in Lake Constance. The itinerary is written as 5 days, but you can spread out the days as you see fit. If you only have 3 days, you can shorten it, but if you have more time, you can spend more time in each location. The ideal amount of time to spend is between 5-10 days. You can also visit more cities around Lake Constance than we mention in this itinerary. There are many more fascinating and adorable towns to discover. WANT MORE: There’s another tri-country area nearby, where you can visit France; Basel, Switzerland; and the Black Forest area of Germany all in one trip. Want the quick version of this itinerary? Watch our YouTube video, with 10 fun things to do on Lake Constance. There are a couple of ways to get to Lake Constance. The best way really depends on where you’re coming from. From the United States, one way is to fly into Zurich and drive or take the train to the lake, which only takes about an hour. An even easier way is to fly through Frankfurt to the small, regional Friedrichshafen airport. This is a particularly good way to avoid traffic and jump right into your vacation. Once you’re in Friedrichshafen, you can immediately begin your vacation. It’s not difficult to drive around the lake – it’s rather laid back and relaxed. As I mentioned already, there are no border crossings to worry about, so you can drive between countries without even realizing you’ve done it. Another option for getting around the lake is by bicycle. There is a 170-mile flat and well-paved cycle route around the lake where you can ride mostly without any cars to contend with. The path is well-marked so you won’t get lost. And best of all, you can complete this entire itinerary by bike. Want to get hooked up with a tour company that will put together an entire 10-day cycling and culinary vacation for you? Try this 10-day Lake Constance tour. Here is a map of the area, so you can see how easy it is to go from one country to the next around the lake. If you like to avoid the crowds, then the best time to visit Lake Constance is really any month other than August, when everyone is on holiday and the lake becomes quite busy. To have the best weather to play outdoors (think hiking, biking, swimming), you’ll want to visit between May and July, September and October. This itinerary is perfect for spring, summer and fall. Of course, there are a lot of other things to do in the Lake Constance region that don’t require warm weather. One of the best times to visit is during the Christmas market season, when cities like Vaduz in Liechtenstein and Lindau in Germany are all dressed up with beautiful lights and festivities for Christmas. If you’re a skier, you may also enjoy the winter months, as the lake is within close proximity to great skiing and shoe activities. When you fly into Friedrichshafen, you’re in Germany, so we start our itinerary there. If you come into Zurich, you can start the itinerary in St. Gallen, Switzerland (which is just a 1-hour train ride from the airport). If you arrive in Friedrichshafen airport, your first stop is just a short walk from the airport terminal. The Dornier museum is an aerospace museum housing a fine collection of airplanes designed by Claude Dornier, whose achievements in aviation include crafting the 12-engine Dornier Do X flying boat, which was once the largest and most powerful airplane in the world. The museum takes about 45 minutes to look around, and they have a very nice restaurant where you can stop for lunch or dinner with a view of the landing strip. Drive to Lindau, Germany. It’s just an 18-minute drive from the airport, or the Zeppelin Hanger. Lindau is a small, charming Bavarian town, located on an island in the lake. Take some time to stroll around the picturesque lakeside town and harbour. In the busy summer months, you’ll find the streets and plazas packed with people enjoying the weather. There are many shops and cafes to explore. There are two different options for accommodations in Lindau. One is to stay at a lakefront resort with an incredible view and sprawling grounds to explore. The other is to stay in right on the picturesque town harbour. Both are high class, very nice hotels. One of the cute little shops to explore in Lindau is Kase Ecke, located at Reichsplatz 7. The store is full of thoughtfully selected cheeses, local products, and wine. 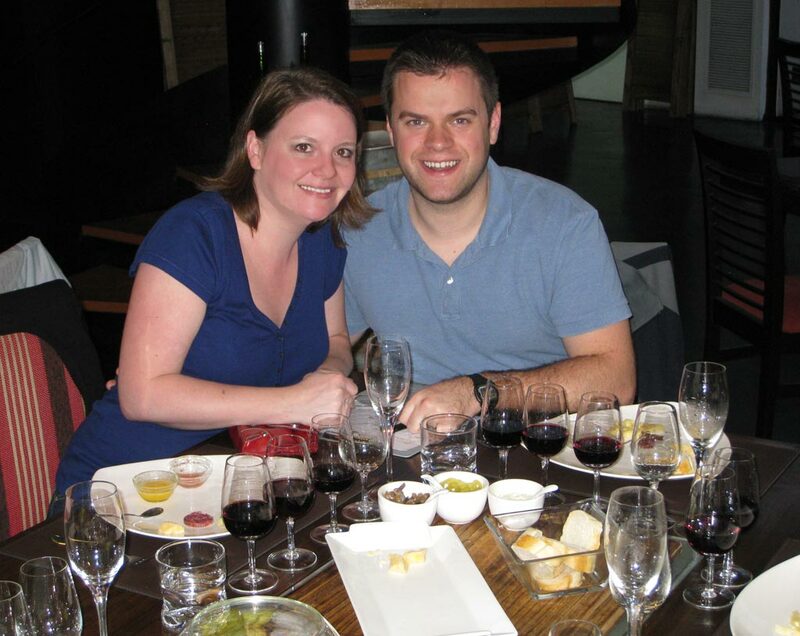 You can sit inside or out at the little cheese shop and enjoy a cheese plate with wine, or if you’re looking for something a little more extensive, if you plan ahead, you can arrange for a cheese and wine tasting with the owner, Michael Bode, who is an expert in fine wine and cheese. From Lindau, you can take a 20-minute passenger-only boat ride across the lake to Bregenz, which is the city that is next on our itinerary. If you’ve got a car parked in Lindau, you can just take the boat ride roundtrip to see the lake. If you’re biking around the lake, you can just take your bike on board and cross over to Bregenz. You may want to consider taking your Lake Constance trip in October in order to attend the autumn food festival. From October 14-28, you can sample the area’s food, wine and beer, take a guided wine tour, listen to jazz, and enjoy special seasonal menus at many of the local restaurants. Different events and activities are planned every day of the week. is the perfect spot for dinner in Lindau. It has a very nice, modern dining room, but the real magic in their hidden garden behind the restaurant. It’s the best atmosphere for enjoying the very well-thought out and designed plates of food you’ll be eating. We had an array of tasty dishes, beginning with a strawberry salad that was practically bursting with flavor, and ending with a plate of handmade pasta with wild garlic and shaved truffles. One of the most spectacular views of Lake Constance can be found at the top of Pfänder. You can ride up to the mountain paradise on the Pfänder cable car, which runs from April to October. The cable car whisks you to the top where you’ll find a panoramic viewpoint, an alpine wildlife park, and lots of biking and hiking trails (my favorite is the cheese-teaching hike – yes, you read that right!). There is also a restaurant at the top (3 actually). You can easily spend half a day or more up there, especially if the weather is clear and nice. 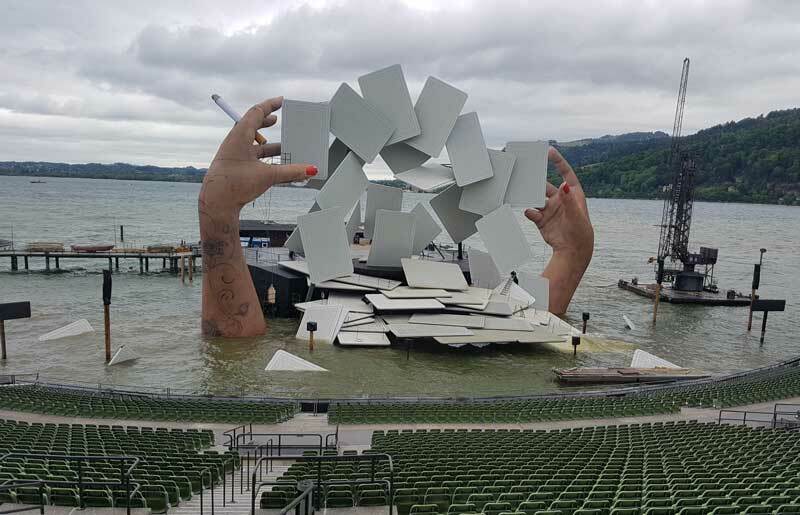 Bregenz is definitely where you want to be in July and August (19 July to 20 August, to be exact), as that is when they hold the yearly Bregenz Festival. The “festival” is an opera production on the world’s largest lake stage. Yes, the stage is IN the lake. It’s really something. And the tickets are as low as 50€. They change the show every 2 years. In 2017 and 2018, the opera is Carmen. There are many great things to see and do in Bregenz. You can go on a city walking tour of the upper and lower towns, visit one of the top museums (Vorarlberg Museum, Kunsthaus Bregenz), walk along the promenade, or stop for a coffee and cake. A culinary treat for food lovers is the KäseStrasse (Cheese Street). 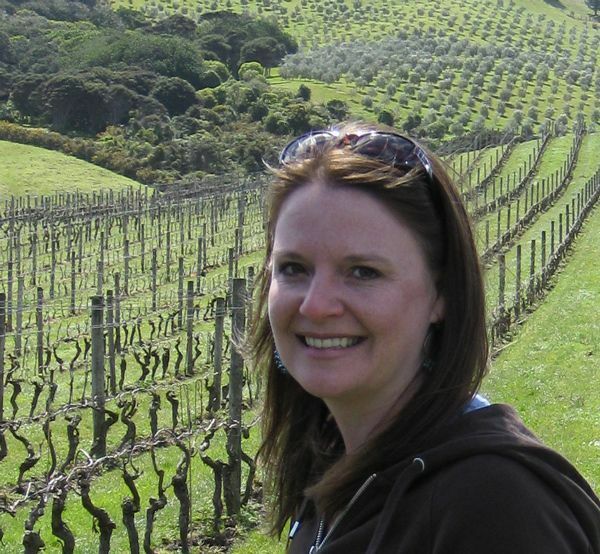 Though it’s not an actual physical route, farmers, alpine dairymen, cheese-makers, and restaurants have all come together to form a fun “cheese route” where you can make visits to different producers, participate in events. You’re in Austria now, so you should definitely try some Austrian specialties, like Käseknopfel and Schnitzel (check out our recipe here). Two restaurants in town to try for local foods are Goldener Hirschen and Stadtgasthaus. For the view, you can’t beat Burgrestaurant Gebhardsberg, perched high up on the mountaintop overlooking Lake Constance. It’s is an incredible place to have a meal, especially if you can get a table during sunset. The food is good, but not earthshaking. Although located a bit outside of town – about a 25-min walk, Hotel Schwartzler is where you’ll find affordable luxury. It’s very nicely appointed and modern, has a sauna and swimming pools, a restaurant and bar, and it’s very reasonably priced… what more could you ask for! You likely don’t know Liechtenstein existed before you read this. If you did, then kudos on your geography knowledge. Liechtenstein is one of only a few principalities in the world (Monaco and Andorra are two others). It’s very small (only 25km long), but it’s packed with exciting things to see and do. It’s known for its mountain and forest landscapes, medieval castles, and tiny villages that are linked by hiking trails. The capital city of Vaduz is only a 35 minute drive from Bregenz. There are plenty of things to do for a day or even three! You should definitely ride the Citytrain for a 35-minute tour of the city. Once you have your bearings, you can set off to do other things, like visit the art museum, the national museum, and the treasure chamber. Admire the Vaduz Castle perched high up on the hill (you can’t visit unless you’ve been invited by the Prince). One thing you can do that involves the Prince is taste the wine from his winery, Hofkellerei. You can stop in for a tasting, or to buy a bottle of the princely wine. There is also craft beer and local spirits to try in town. You can find both at the Liechtenstein Center. There are two ways to enjoy the incredible view over Liechtenstein. One is to drive up the mountain and visit the viewpoint above the city. The other is to walk up! You can park on the side of the road and walk down to the vantage point and perfectly placed bench. If you want to spend some time hiking, you’ll find 400 kilometers of well-developed and marked hiking trails throughout the country. You can dine in the Prince’s vineyard. Restaurant Torkel can be found among the vineyards just outside of town. The location is hard to beat, as is the food. Another favorite restaurant in Vaduz is Restaurant Maree at the Park Hotel Sonnenhof. It’s worth dining there, even if you’re not staying at the hotel. It boasts one Michelin star and has a terrace where you can dine with an incredible view. Both of these are great dining experiences to have in Liechtenstein. PRO TIP: To make things easier, you could stay at your hotel in Bregenz for two nights and just take the day trip to Vaduz. There are a few hotels in the city center, but if you want to stay at the best location in Vaduz, it’s got to be Park Hotel Sonnenhof. It offers great accommodations, a fantastic restaurant, and a truly relaxing environment. It is about a 40-minute drive from Bregenz or Vaduz to St. Gallen in Switzerland, which is the only city on our itinerary that isn’t located directly on the lake. It has a charming pedestrian-only old town, with many things to see as you stroll around. One of the top attractions of St. Gallen is the architecture. There is a 8th-century monastery – the Abbey of Saint Gall – and the Baroque St. Gallen Cathedral, which is part of the Abbey; the neo-Gothic protestant church, St. Laurenzen, and the best example of rococo architecture in the 16th-century library. St. Gallen is also home to the world’s oldest library, which is now a UNESCO World Heritage Site. Inside the library, you’ll find as many as 30,000 priceless books and manuscripts handwritten by monks during the Middle Ages. The entire collection at the library totals over 150,000 volumes. If you love chocolate, you should definitely make time to visit the Schoggiland chocolate factory, which is just 20 minutes away in Flawil. Another top activity to do in this area is ride the cable car to the top of Säntis, the highest mountain in northeastern Switzerland, at 2,501 meters above sea level. Six countries can be seen from the observation deck at the summit. While up on the mountain, you can go on a walk or hike, visit the show dairy, take a carriage ride, eat at the restaurant. You can even stay overnight in their hotel at the foot of the mountain. While in St. Gallen, you’ll also want to stop off at a Chocolaterie Koelbener to sample some Swiss chocolate. You’ll find boxed chocolates, as well as delicious hot chocolates that you stir into warm milk yourself. You can also have lunch, or sit for a coffee, in the cafe. Food is a fun way to get to know a city and its culture. You can learn all about the culinary landscape in St. Gallen on one of the food tours offered, like the Culinary “Tryout” Tour of St. Gallen, or the Culinary Walk Around Town. There’s also a pub tour for a change of pace. Don’t miss trying one of the area’s culinary specialties, the St. Gallen bratwurst. You can find a tasty bratwurst at the low-key Restaurant Marktplatz. The best place to stay in St. Gallen is in the old town, where cars are not allowed. You can walk just about anywhere quickly from Hotel Dom, located just around the corner from the Abbey, on Webergasse 22. It leans more toward the budget side, but it’s really clean and comfortable for the price. As you can see, the Lake Constance region is full of incredible thing to do and see. It’s the perfect place for a glimpse into four European countries at once. If you’ve been to this area, or are planning a trip, we’d love to hear from you. What did you like most? What would you recommend? Many thanks to the wonderful team at Lemongrass Marketing , who arranged a press trip to Lake Constance, in collaboration with various tourist boards and companies. As always, all opinions and thoughts shared here are my own honest recommendations. This entry was posted in Itineraries and tagged Austria, Germany, Liechtenstein, switzerland. This is a wonderful way to see four neighbouring countries. I’m sure you would have discovered several commonalities in culture and architecture. Making a note for future travels. Yes, there are definitely similarities, especially in the cuisine. It’s really fascinating how many countries can meld together like that. Thanks Marineira. It is a gorgeous lake. Funny, I was in this area last Fall. We went to Vaduz. We were also told to visit Bregenz by the Austrians and we skipped and went to Innsbruck instead. Looks like you had a lovely trip around the lake. Well, next time you’ll have to hit up Bregenz. It’s really nice. Innsbruck is too though! Four countries in one lake? Don’t mind if I do. My OMG moment: I had a model of that Dornier airplane as a kid! That’s so great, Peter! What a memory. Nice overview. A friend was just there 10 days ago and tried to convince us to join them — I should have taken him up on it. Love that set for Carmen. You definitely should have, Bob! Next time. I love Lake Constance! I celebrated New Year’s in Konstanz a few years ago after a couple weeks in Switzerland and it was awesome. People gathered at the lake the usher in the new year with Sekt and fireworks. So much fun! That sounds absolutely wonderful, Cate. Oh yes, Lake Constance is so beautiful isn’t it? And as you say, a great way to visit four countries in a single trip. Your practical guide is really helpful, lots of details to help plan a great trip. Beautiful photos too. Thanks Kavey. I do think it’s a wonderful area that more people should visit (and would, if they knew it was there). I can see that, Siddhartha, definitely! There are so many cute and wonderful towns in Switzerland – and Germany, too! I wouldn’t have imagined of such a place which has so much around to Offer. Quite impressive, must say! Exactly! You’ll have to check it out Saakshi. The Bodensee is such an amazing region of Europe. Thanks for the detailed and beautifully written itinerary! So, what if I have ONE day, coming from Stuttgart, and want to do the 3 meals in 3 countries? How do I do that? I see conflicting information about going to Konstanz but the ferry looks like it departs from Friedrichshafen. Am I not digging deep enough? It’s awesome that you’re going to give it a try. Are you relying on public transportation? It will be much harder that way. I’ll tell you how I did it. I had breakfast in Bregenz, Austria, then drove to Vaduz, Liechtenstein, for lunch, then drove on to St. Gallen, Switzerland for dinner. It’s only about 45 minutes driving between each, so it’s rather easy. On public transportation, you could go from Konstanz on the train to one of the cities along the lake in Switzerland, then again over to Bregenz. Do you have to get back to Stuttgart at the end of the day? Hey there, wonderful travel suggestions! I’m planning to come for the 3 country marathon in Oct. from India for 9 days. I don’t drive in Europe, are there are any recommended tour operators that you recommend? Many thanks!! Cant wait to visit these marvels!! Hi Ambika, most of tours in this area are bicycle tours. You can do this trip fairly easily on your own with public transportation though. There are good trains between the cities. Near lake constance that’s makes it easy to access transport to visit all those country’s with or without car,a train or bus maybe for senior citizens. Are there any fare concessions for seniors.what accommodation would you recommend .Be grateful for advice. Thinking of going July 2019.